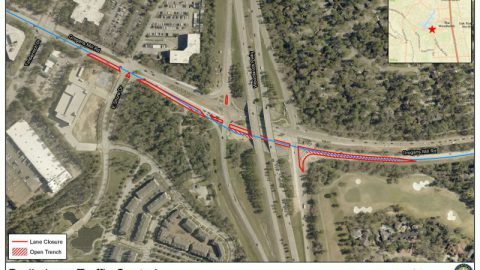 SJRA will implement traffic control devices which will move southbound lanes of Grogan’s Mill traffic to a single northbound lane between eastbound Woodlands Parkway and South Millbend Roads. Please call SJRA traffic hotline at 936-588-1662 with any questions. Commissioner to attend Chamber of Commerce Board of Directors Luncheon at 11:30am on September 11, 2013.